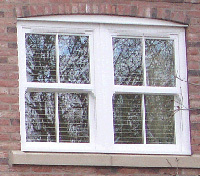 Flack Services carry out high quality sash window repairs, renovations and installation services, specialising in draught proofing your existing sash windows, installing double glazing in original sash window frames and encapsulated glass window fittings. Each sash window repair or install is carried out by a high quality professional with years of experience in carpentry, renovations and restoration. "I need not have worried and fussed about my encapsulated glass windows as Don Flack refitted the lovely refurbished stained glass windows with great care and skill. He had carefully thought through the difficulty of refitting of the windows and had cut out a wooden template, to ensure his routing of the existing wooden surround were done accurately." "With new window sills the pair of windows look as if nothing has been done inside or out." "His professionalism was a pleasure to watch." 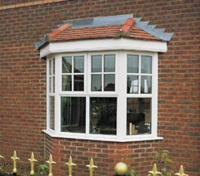 "The encapsulated windows look magnificient, better than when first installed."